An OSCE meeting took place in Kyiv as Ukrainians held pro-European protests. But, the group has lost its importance, says international law expert Manfred Nowak because the West and Russia are drifting apart. Nearly 40 years ago, the Organization for Security and Cooperation in Europe (OSCE) – then Conference on Security and Cooperation in Europe (CSCE) – initiated the process which lead to the end of the Cold War. Today, the OSCE is in its deepest crisis since its founding. The basic principle that decisions are made by consensus with all 57 member states often leaves the OSCE hamstrung on important issues. DW: Mr Nowak, today, decades after the end of the "Cold War", does the OSCE still have significance? Many people thought that the OSCE had accomplished an important task after the implosion of the Soviet Union and other communist regimes in 1989 in Europe. In 1975, no one thought that this organization, designed to ease tensions, would ever have such important consequences. But soon after the fall of the Iron Curtain it became apparent that the ideological vacuum, which followed in central and eastern European states, was filled by nationality and minority conflicts. In the '90s, the main relevance of the OSCE was then to solve conflicts through 'quiet diplomacy' on a preventative level; for example, with the High Commissioner for National Minorities. And secondly, in cases of armed conflicts, in particular in the Balkans and partially in the Caucasus as well, the OSCE often, together with the United Nations, carried out large peace missions under the banner of comprehensive security. Nevertheless the OSCE now plays a minor role in the foreign policy debate. Until 2010 there were no meetings for eleven years and its Secretary-General is hardly known to the public. Is there an existential crisis of confidence in the OSCE? Certainly, the OSCE lost a lot of its importance. On the one hand, because of the 9/11 attacks, and on the other, because a new East-West conflict appeared between the US under President George W. Bush and the Russian Federation under Vladimir Putin. There was mutual distrust instead of trust. And because of the consensus principle, the OSCE is incapable of making decisions in significant areas. Think of the war between Russia and Georgia in 2008, the OSCE simply did not play any decisive role at all. That is a pity because the OSCE has enough potential. Recently German Chancellor Angela Merkel sharply criticized Putin for his interference in the association agreement between the EU and Ukraine. Foreign Minister Guido Westerwelle repeated the criticism at the foreign ministers meeting of the OSCE in Kyiv. Is the Cold War 'bloc' mentality continuing in the OSCE? Yes, this is linked to the nationalistic politics which Putin practices in the Russian Federation. All unsolved territorial conflicts, for which the OSCE has mechanisms to solve, are paralyzed. That is the case for South Ossetia and Abkhazia and also for Moldova and Transnistria – these are all regions which are de facto occupied or controlled by Russia. That is also the case for the Karabakh conflict between Armenia and Azerbaijan. This means that there is now a new East-West conflict. The OSCE receives special attention for its election monitoring missions – for many years this was a success story and very important in the less democratic post-Soviet states. These missions were also discredited because after the 2013 elections in Armenia the OSCE published two different official statements. Are these election monitoring missions insignificant now? I wouldn't say insignificant. For example, think of the first elections in Bosnia-Herzegovina, which were organized by the OSCE only three years after a war, expulsion and genocide. And in Kosovo it was a similar case. The OSCE did a lot for building democratic structures and the realization of democratic elections. And even today I would say that the Office for Democratic Institutions and Human Rights in Warsaw is one of the leading organizations. But the pressure from all political forces significantly increased – and that leaves its marks. Therefore, tasks are not carried out as efficiently as before. 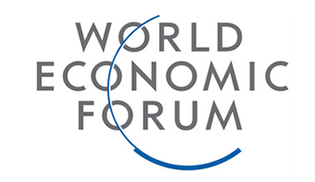 In 2015 the conference marks its 40th anniversary. By then, the OSCE wants to have repositioned itself. What chances do you see for fundamental reforms and what should they be? I think in the current constellation it will be very difficult to carry out fundamental reforms – in terms of human rights and democracy – if there are no internal changes, especially in the Russian Federation. Without a new political orientation, especially because of the principle of consensus in the OSCE, I see very few options for great leaps inside the system. Russia has to decide if it wants to be a European state and if it wants to play a responsible role among the European powers and not an escalating role. The legal and OSCE expert Manfred Nowak lectures international law at the University of Vienna. Between 1995 and 2003 Nowak worked at the International Court in Bosnia-Herzegovina. 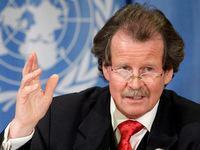 In 2004, the UN Human Rights Commission appointed Nowak as Special Rapporteur on torture issues. He is research director and co-founder of the Ludwig Boltzmann Institute for Human Rights in Vienna and member of a group of experts for the United Nations.